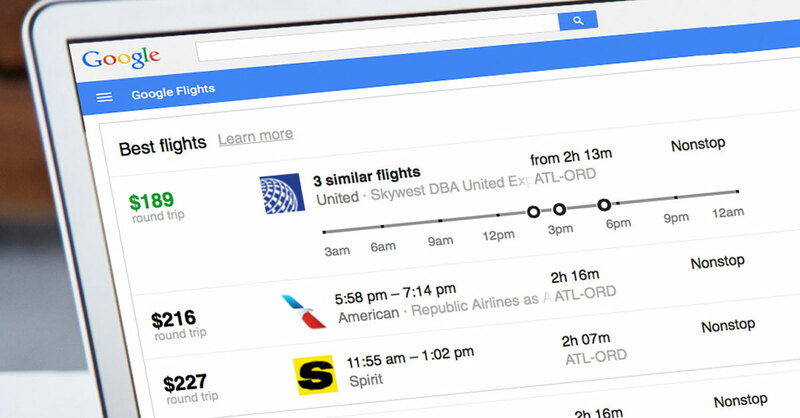 Google’s airfare-finder website Google Flights offers some money-saving features that better-known sites such as Expedia, Orbitz and Kayak either don’t offer or don’t do as well. Find the least expensive travel dates. If you are flexible about when you fly, enter departure and destination cities into Google Flights, then click the calendar icon located below the departure city (the calendar icon is the small square containing the number 31). A calendar will pop up displaying the lowest fares available each day during a two-month window. A bar chart that accompanies this calendar makes it easy to spot the departure days that have the lowest fares. Click the arrows below this bar chart to adjust the length of your trip…click the arrows to the sides of the calendar to see day-by-day low fares for additional months. Recent example: If you planned to travel from Portland, Maine, to Portland, Oregon, for a week in early August, the least expensive round-trip ticket would have cost $725. But if you used this calendar feature, you would have seen that you could cut that price to $390 by delaying the trip until August 25 (saving $335 over the $725 flight). When you are ready to purchase a ticket, you’re typically connected to an airline booking website. Find the best fares to a broad region in a single search. Most airfare-finder sites require that you enter a specific airport or city as your destination with perhaps an “include nearby airports” option. With Google Flights, you have the option of entering a state, country or even a continent (along with specific travel dates). When you do this, a map appears displaying the lowest fares available to each of the major airports in or near the specified region. You might be able to save money by flying into a different airport than you originally intended. This is especially useful when you intend to tour a wide area and are not concerned where this trip begins…or when you haven’t decided precisely where you want to visit. Recent example: Imagine that you want to see both France and Germany on a 14-day August trip departing from Washington, DC. The least expensive round-trip tickets available to most airports in these countries cost more than $1,100. But this Google Flights feature would have pointed you to a savings opportunity—flights to Frankfurt costing as little as $925. Get bonus tips. If the site identifies an opportunity to save money or get a better travel experience, it will supply a “Tip” to this effect in a bar among the flight listings. Recent example: Included among the listings in a search for flights from Los Angeles to Rome was “Tip: Fly in Premium Economy”—a premium-economy seat with extra legroom was available for less than many airlines were charging for standard economy seats on the route. Other Google Flight tips might point out that you could save money by flying into or out of a nearby airport…or by adjusting your travel dates.